The World Press Photo in Bucharest, Romania – in our event tents. The first World Press Photo exhibition took place in our POLIDOMES portable geodesic tents in Bucharest in May, 2014. The spectacular success of this ground-breaking project, which drew more than 40,000 visitors, wouldn’t have been possible without POLIDOMES! As many as five geo domes stood in University Square in the centre of Bucharest, serving as a showcase for the event. There were over 140 photographs inside our geodesic constructions. World Press Photo is an annual international photo contest organised by the independent World Press Photo foundation of the Netherlands. It is the global journalism industry’s most prestigious competition of photographers. For the project, we used five different sizes of event tents. 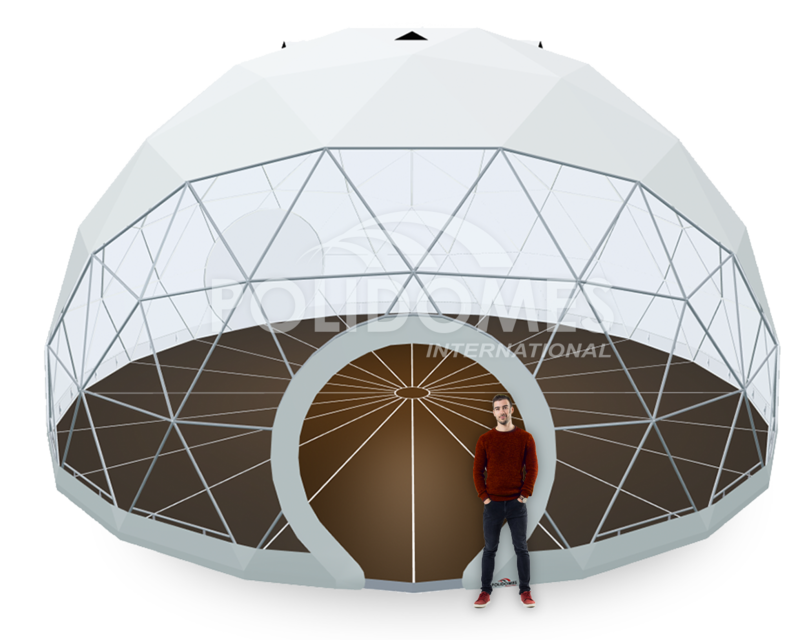 The largest of these was a Polidome 150 which served as the main meeting room where conferences and award ceremonies were held. 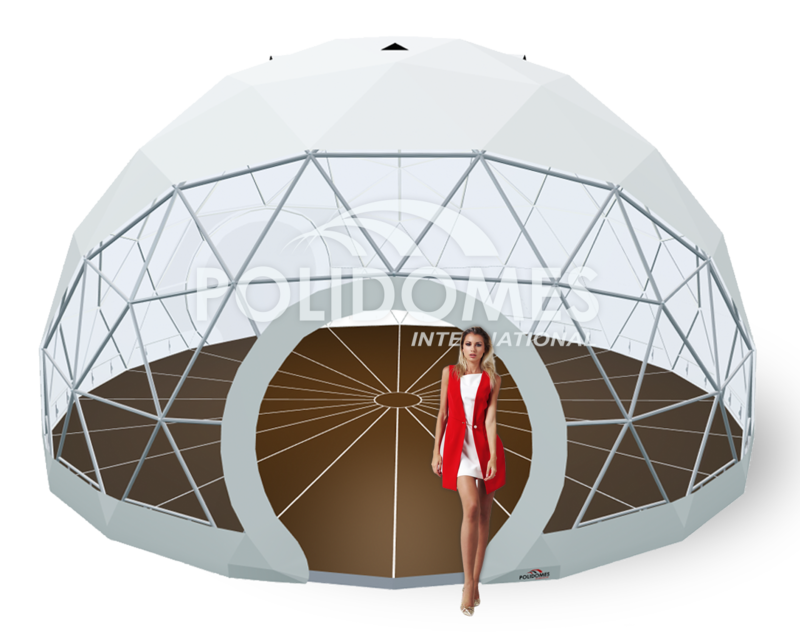 Another dome tent, a Polidome 110, was an exhibition hall and supported the largest tent. The other tents, one Polidome 75 and two Polidome 50 geo tents, served as exhibition halls. All the structures were connected by tunnels, while the two main entrances were guarded by aluminium doors equipped with an anti-panic system and a ramp for the disabled. In total, we provided more than 450 m2 of exhibition area. The sensible arrangement of the 140 exhibitions allowed for ease of movement inside the geo tent, a key element when dealing with such a large number of visitors. The winner of World Press Photo 2014 was John Stanmeyera’s photograph depicting immigrants from Africa on the coast of the city of Djibouti. For the first time, geodesic tents were the site of a World Press Photo exhibition. We hope to further spread the popularity of our constructions, and invite companies to work with us! If you have any questions regarding our project or geo tents, don’t hesitate to contact us.